For sheer up to medium application of liquid/cream foundation, pick the product with the tip of the bristles, stipple in short downward motions. 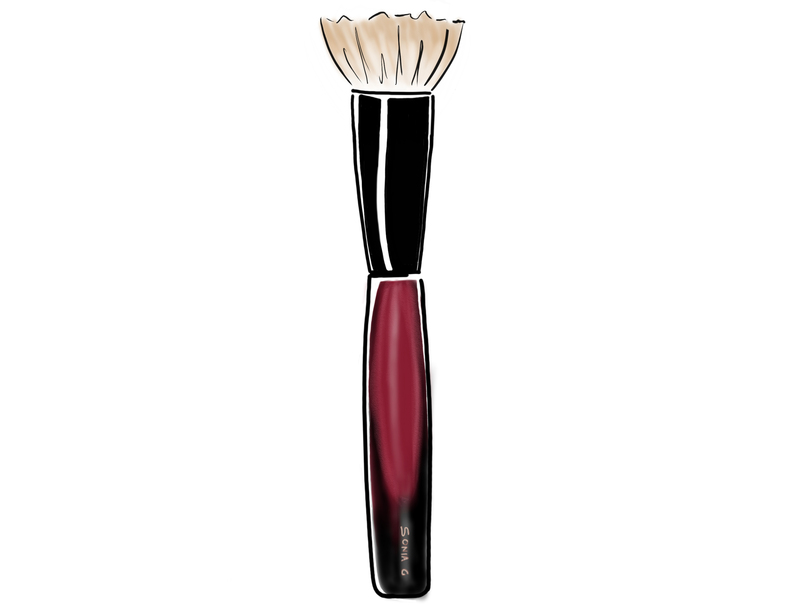 For a quick wash of foundation, use bigger circular or downward motions. If you use cream products like blush, bronzer or highlight, you can either pick the product with the brush and apply it directly, or place it with a precision brush or the fingertips and then blend with this brush.